A green wall or a living wall as it is also called offers numerous economic, ecological, and social benefits. 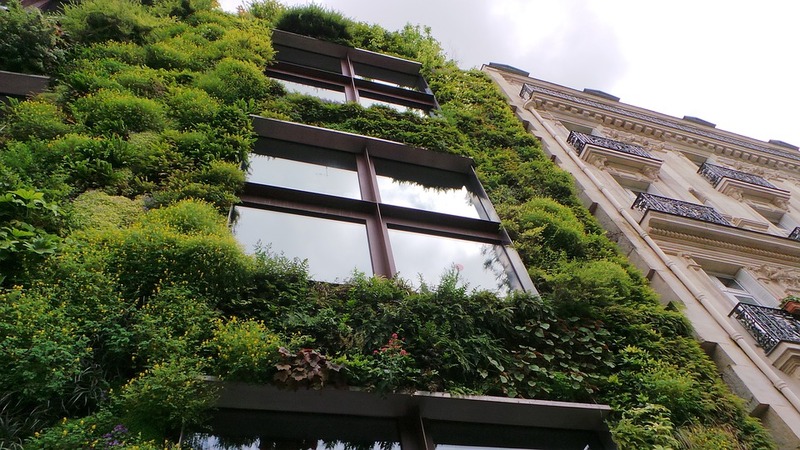 When properly installed, a living wall can help purify the air, reduce the ambient temperature, regulate interior and exterior temperature and promotes biodiversity. Experts say that Living walls are part of climate-proof construction. What’s more, people are happier in a green environment than in grey surroundings. Below we explain the benefits of ECO Green walls one by one. • Reduced urban heat island effect as well as reducing smog. • It helps to clean the interior air space by eliminating toxins such as VOCs, formaldehyde and benzene. • It is an excellent sound proofing barrier that will guard your house from external noise. Perhaps this is one of the least known benefits of green walls. Your building can reduce noise levels since green walls provide an extra insulation by providing a layer of air between the plants and the wall. They also minimize noise levels by refracting, reflecting and absorbing acoustic energy. • Since soil and plants are natural filters, green walls are good at cleaning the water that rolls via the walls, making them good for use. • Greens walls help to insulate and cool the building, as well as guarding against the elements of weather. • It promotes biodiversity since it creates a good habitat for birds and other useful insects. • Green walls can be used to grow [plants that are a source of food, especially in urban settings. This can increase food sustainability. • Green walls will increase the amount of equity in your building, thus increasing return on investment. • Since it creates an attractive working environment, green walls can reduce workplace absenteeism while increasing employee morale. Green walls offer uplifting and calming effects on workers while at the same time reducing the impact of stress-related illnesses. Numerous studies have shown that simply having a view of green scenery can improve workplace productivity and increase patient recovery times in hospitals. Those who have installed ECO Green Walls can qualify for LEED certification points from USGBC, which can go a long way to reduce your overall energy cost. Other benefits that you can get include sustainable sites credits, water efficiency credits, Energy & Atmosphere Credit and Innovation in Design Credits. Green walls are known to significantly contribute towards innovative wastewater or ventilation systems.